True Blue Plumbing and Heating, Inc. 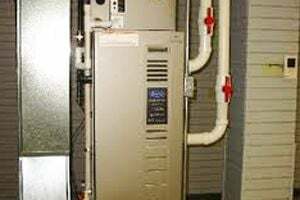 Comment: replace existing natural gas furnace- forced hot air with new energy efficient unit, to include adding central air- not now installed. Comment: Replacing existing electric baseboard heat with central heating/AC in 1971 split level with no basement. Comment: Central heat not firing on. House is very cold. Concerned about pipes freezing/leaking. Iâm in Florida, daughter lives nearby and can let repair person in. Emergency,!! Hanson Heating & Furnace Contractors are rated 4.69 out of 5 based on 2,386 reviews of 35 pros. Not Looking for Heating & Furnace Systems Contractors in Hanson, MA?